What makes this wedding extra special is the Bride and myself went to elementary school together and were close friends since 3rd grade. When Nisha contacted me to coordinate her wedding day, I was beyond thrilled and honored she asked me! Soon after, Nisha and Brian flew out to San Diego from New York and I got to meet her fun-loving fiancé, Brian! Right after meeting Brian, I knew right away that these two are a match made in heaven! So genuine, kind, fun, and definitely know how to have a good time! Nisha and Brian met in the streets of NYC through a myriad of close mutual friends. As California natives with many similar interests they quickly grew inseparable. In the past 3 years, they have enjoyed countless adventures together and have worked to bring all of their respective much loved friends and family closer together. Brian had been itching to secure Nisha for the long haul for months and after spending the summer of 2014 traveling the world and growing together, he decided to target an anniversary and birthday trip to Jamaica to pop the question. The venue was a sunset cruise, together with 20 other friendly strangers and a boat captain named ‘Crazy’. Brian got the attention of the passengers during a stop on the cruise to take sunset pictures and dropped to one knee. Neither Nisha or Brian really remember what happened after that but a few minutes later there was a ring on Nisha’s finger and we became instant best friends with everyone else on the boat. 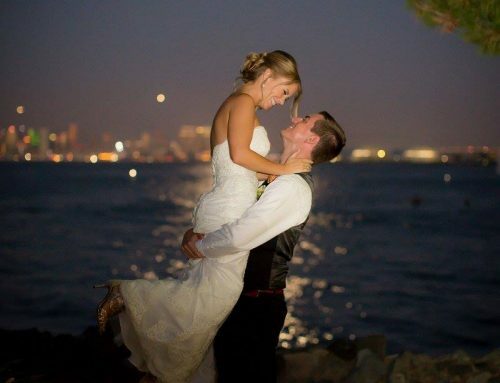 Hyatt Regency Mission Bay fit perfectly with the couple’s desire for an elegant event. 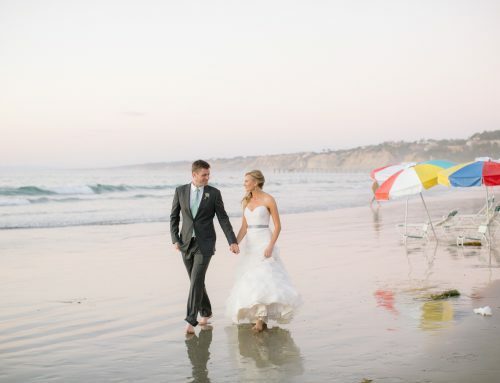 This beautiful outdoor venue is surrounded by lush florals, trees and water views. Nisha and Brian’s ceremony and cocktail hour took place at the beautiful Banyan Court and Lawn. The evening continued in the Regatta Pavilion. Talk about a gorgeous and spacious area for all their 250 family and friends to share their special day with! Congratulations Mr. and Mrs. Gutterman, wishing you two much love, laughter, and Happily Ever After!